Fun ways to demonstrate knowledge and develop design skills. As the school year winds down, tests and final projects are looming. Class presentations can be a great way for students to synthesize knowledge, practice public speaking and interact with their classmates. But, there are also potential drawbacks. Standing up and speaking in front of peers can be nerve-racking (even for some adults! ), and the presentations themselves can become repetitive and formulaic. 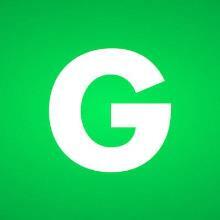 Accessible to a wide age range, Glogster is a website for creating glogs, which are online posters that contain text, images, and multimedia elements. This interactive platform teaches digital design skills and pushes students to think critically (and creatively!) about displaying content. Students can post their online posters (aka glogs) on Glogpedia, a social site where users interact with each other's creations. Note to teachers: Glogpedia exploration should be supervised for younger kids, and it's important to pay attention to the privacy setting for student glogs. 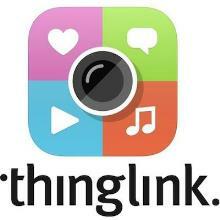 ThingLink is a unique tool for producing interactive multimedia presentations by embedding images with audio, video and informational links. The platform's familiar structure is similar to image-based social media sites such as Pinterest and Tumblr, so most students are able to navigate the creative possibilities with ease. The educational version of this platform allows students and teachers to create presentations within private "channels" that can be used for specific classes or class projects. 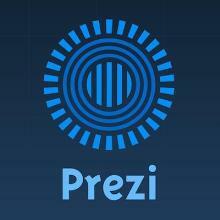 Prezi features unique 3-D zoom animation to move between slides during an online presentation; students can flex their visual design skills by creating custom animation paths to maximize the zooming effect. There's a free "Enjoy Edu" account, which provides private, logo-free presentations with increased storage space and support to teachers and students. Another perk: Prezi supports collaborative online editing and integration with social-networking sites, which makes this tool a great choice for group projects. Emily Major is project coordinator of education content for Common Sense Education.